Apple design places a premium on simplicity in an effort to provide "a delightful experience." Apple’s Human Interface Guidelines have been the core of the company’s design philosophy ever since the Macintosh in 1978. Apple design evangelist Mike Stern gave an overview of the ever-evolving guidelines during a Wednesday session at the company’s Worldwide Developers Conference. The session, entitled “Essential Design Principles,” is one of my favorites, in large part because I’m a designer myself. I’ve distilled the essential Apple design principles he talked about in the sketchnotes above. 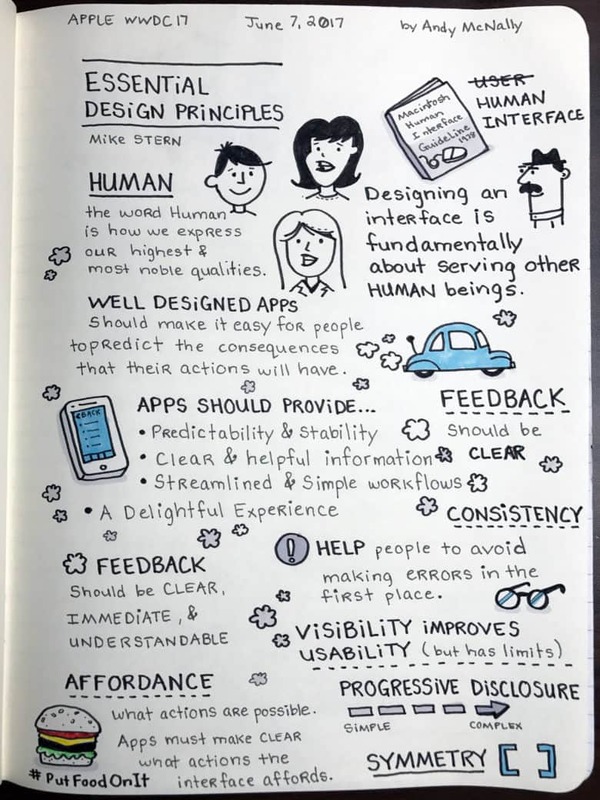 There’s a reason the majority of apps in the App Store look like they fit together, and that reason is Apple’s Human Interface Guidelines, a document that ensures all developers incorporate Apple-approved elements into everything they do on the iOS platform. 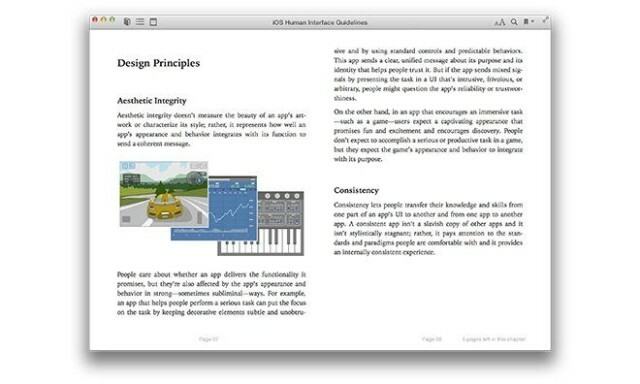 To make these guidelines transparent and readable, Apple has released an iPad-friendly version of its latest iOS Human Interface Guidelines reference material. Available to the public as a free download through the iBookstore, the guide covers everything from general design practices to rules about content, and features the usual iBooks flourishes such as page numbers, resizable fonts and annotation support. It also incorporates embedded videos to illustrate certain topics.